The road to success was not easy for this young lady, Upasana. But faith in her efforts was the strength that kept her moving up for eight months even after getting rejected twice! This story of Upasana Makati is all about courage to stand out to be different and believing in oneself. Having graduated with a BMM from Jai Hind College, Mumbai, Upasana pursued a course in Canada. Coming back she took up a job in a PR company. With a background in journalism and communications, Makati has worked in everything from public relations to freelance writing. 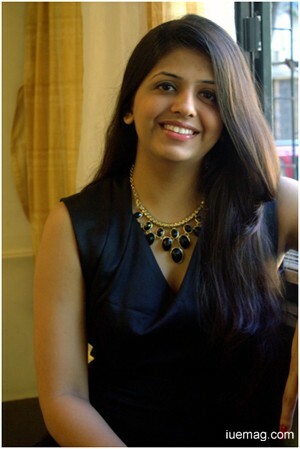 "At 24, I believe I could have found myself a decently paying job, good enough to pay my bills but certainly none of them would have been able to give me happiness, satisfaction and a good night's sleep that this venture has given me" is what Upasana feels after the birth of White Print. "There was always an urge in me to do something of my own and this was a reality when the idea of White Print came into existence positioning itself as India's first and only English lifestyle magazine in Braille," says the young lady. Upasana is always very careful to consistently emphasise that this is not a charity initiative. "I spoke to a lot of visually impaired people and found that they did not have access to any lifestyle magazine," shares Upasana. Upasana collaborated with the National Association for the Blind (NAB) in Mumbai, who agreed to be the magazine's printing and distribution partners. Launched in May 2013, the 64-page magazine is priced at Rs.30 and has been receiving subscriptions from towns and villages in India. "Sometimes we get subscriptions from a town which I have never heard of and that puts a bright smile on my face," says Upasana. The biggest challenge was - generating ad revenue. White Print does not contain any pictures, and since advertisements are all about images and colour it was difficult to convince companies to give an ad in Braille. "Raymond was the first to place an ad with us," says this young entrepreneur with pride. "Getting associated with CocaCola was another biggest achievement which gave me immense happiness," she recollects. Being a woman has never been a roadblock for her. She always viewed it as an advantage as women have the sensitivity to deal with initiatives of this nature. Any facts, figures or references stated here are made by the author & don't reflect the endorsement of iU at all times unless otherwise drafted by official staff at iU. This article was first published here on 26th August 2014.